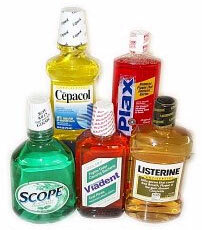 Science Project _ Compare different mouthwashes for their effectiveness. Compare different mouthwashes for their effectiveness. Manufacturers of different brands of mouthwashes often claim that their brand is better, kills more bacteria, and prevents bad breath for a longer time. Different brands of mouthwashes also have different price ranges. Are you getting a better and more effective product when you buy a more expensive brand? Like any other consumer product, mouthwash can be tested for effectiveness in removing bacteria and killing bacteria. In this project you will perform experiments to compare different mouthwashes for their ability to kill germs. The experiments in this project require some bacteria growth experience.